We are an Amateur Dramatic and Professional/Amateur production group of performers who meet close to the centre of Ipswich. First formed in 1980, we perform major musicals and concerts, some in partnership with a carefully chosen Suffolk based Charities such as The Stroke Association. We are a group of mixed ages, and we cater for and encourage enthusiastic people from different nations. We meet on Friday evenings from 7.00pm, at St Mary’s Stoke Church Hall, Stoke Street, Ipswich. Formed in 1973 when a few enthusiastic thespians got together to indulge their love of musical theatre and at the same time raise money for local charities and good causes that have specific needs of those that have a personal connection to the group. Since 1980 they have presented a major musical very summer at the Wolsey (New Wolsey) Theatre and a review or concert in the autumn at a smaller venue. Membership is open to anyone over the age or 16. Younger people are invited when called by the script. The major production is cast by audition. 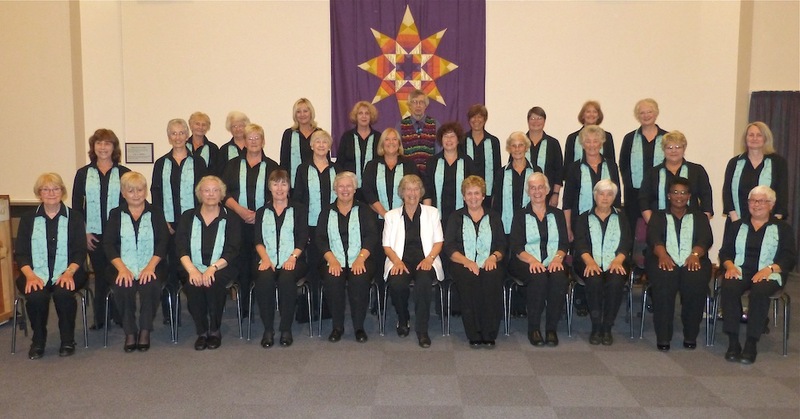 Felixstowe choir, Felixstowe Harmonies, is a keen and enthusiastic group of ladies who love to sing light classical songs, folk, jazz and blues, pop and golden oldies. Under the leadership of Musical Director Chandra Grover, our aim is to inspire creativity, encourage people to enjoy singing as part of a group and make the best sound we can. We hold 2 to 3 fundraising concerts a year in aid of Suffolk charities, perform at Art on the Prom and other smaller events in the town and often joined by instrumental ensembles or singers to bring variety to our concerts. We are also delighted to welcome talented pianist Harrison Cole as our accompanist. Felixstowe Musical Theatre have been running as an Amateur Dramatic Society since 1966. We have been entertaining audiences in Felixstowe with musicals, pantomimes and cabaret with renowned success. We began as a small evening class at what is now Orwell High School but soon realised the company was destined for bigger things and moved venues to the amazing Spa Pavilion Theatre where we have performed for over 40 years. Now we boast anything up to 100 members at one time ranging from the age of 5 years ttime for theatrical enthusiasts from all backgrounds. Check us out on our website, , like us on Facebook and follow us on Twitter, you can even catch a sneeky glimpse of us on Youtube! Barry Salmon next took up the baton and conducted the choir until 2010, arranging a great deal of music especially for them – a tenure of nearly 25 year! Alan Loader conducted the choir in 2010 for just over a year. Coming full circle, Geoff Lavery returned to Suffolk in January 2012 upon his retirement as Deputy Head in Bedford, and once again occupies the position of Musical Director of the choir he founded 40 years previously! We are a friendly group with about forty members, whose repertoire includes a wide range of genres from the sixteenth to the twentieth century. We are a non audition choir. Our repertoire includes Classical, Madrigals, Carols, Comic, Folk, Spirituals. There has been a music society in Hadleigh for over 130 years who performed ‘Special Services’ (i.e. concerts) in St Mary’s Church during the late nineteenth century, with chorus numbers reaching ninety. In 1919 the choir became the Hadleigh Operatic and Dramatic Society and then, in 1950, Hadleigh Choral Society. Since 1950 the choir has thrived, apart from a couple of years in the mid-1980s. In 1988 it was reformed and continues to this day. The present musical director, Christopher Phelps has been with the choir since 1991. In recent years the society has had two notable past presidents, Sir Charles Groves, followed by George Malcolm. The current honorary president is John Lill CBE who has a special relationship with the Society, having performed with it on several occasions, including at Snape Maltings Concert Hall. The choir now numbers over 90 members. We enjoy singing mainly from the established choral repertoire when we perform with the Colchester Symphony Orchestra and professional soloists. We have two main concerts each year which take place in the centre of Hadleigh at St Mary’s Church. We also perform a mix of lighter music at Christmas and two summer concerts. We are a friendly but committed group of singers and we welcome new members. There are no auditions but some ability to read music and some singing experience are useful as well as a commitment to practice! At IDPS we have an extensive programme of activities coving a wide range of photographic interests. Each Spring we stage one of the largest Exhibitions of photography in East Anglia. We have specialist interest groups for prints, projected images,monochrome & traditional darkroom digital imaging, audio-visual and a very active Studio Group. As one of the leading photographic societies in the Eastern Region we attact members from wide geographical area. Help and advice is available for beginners. The Ipswich Art Society is Suffolk’s foremost exhibiting society for painters, sculptors and printmakers whose membership includes both full-time and part-time artists. The Society’s Annual Open Exhibition is usually held in May. Anyone may submit work but standards are high and set by a selection panel which changes each year. There is a yearly programme of talks, discussions and visits. The Anna Airy Award Exhibition, previously restricted to artists aged 16 – 25, now includes a category for mature art students, and is held yearly in the Spring. The Memories and Recollections Oral History Project was inspired by three women who visited St Clements church during the Heritage Open Days in September 2017. They spent some time with the volunteers of the Ipswich Arts Centre and shared their memories of their parents getting married and attending St Clements church as children. Whilst much is known regarding the medieval history of the Church, the oral accounts of local residents and their ancestors who used the church many years ago have never been collected or preserved. This project will capture these memories and recollections to construct a social narrative of the importance of St Clements Church – past and present. We are currently seeking volunteers to help with various events and with the recording of the oral history (full training will be given). We are also seeking stories/memories connected to the history of the church. For more information or if you would like to share your story, please email Nicola at iacmemories@gmail.com. Ipswich Bach Choir has been in existence for over 75 years and has a wide repertoire of choral works. It has about 50 to 60 members. Membership is free to under 26 year olds. No auditions are held, but members must be able to read music. The choir rehearses on Wednesday evenings from 19:30 until 21:30 at Rose Hill Primary School, Derby Road, Ipswich, between September and March, with concerts in early December and just before Easter. The Ipswich Chamber Choir was founded in 1984 by Martyn Bagnall to fill a perceived gap in the musical scene in Suffolk at that time. Although there were several large choral societies, there was no quality chamber choir for good singers to experience the wealth of repertoire available to smaller groups of singers. The Choir quickly established a name for itself in terms of the range of music tackled and the quality of sound produced. Martyn has now left to work in Dubai and our new Musical Director, from January 2008, is Tom Appleton, a professional singer and previously a choir director in York. The choir continues to give a high standard of performances and aims to remain as a chamber choir of around 40 voices. Our Society was founded in 1925 and has functioned continuously since, even through the war years. We are promoters not performers. Our concerts are put on four times a season in the winter months on a Saturday evening, using the Great School at Ipswich School, which has an excellent acoustic for chamber music. To enable local people to experience the best we engage groups of the highest quality, mostly of national and international fame (see our website). Founded in 1976, Ipswich Children’s Book Group is a member of the Federation of Children’s Book Groups, a network of groups across the UK whose aim is to bring children and books together. Membership is open to anyone with an interest in children’s books. Over the past thirty years the book group has organised a wide range of book related activities. These have included book fairs, author visits, picnics, talks on all aspects of children’s books and competitions. Ipswich Choral Society is a friendly choir of some 80 members. It was formed in 1824 and is the second oldest choral society in England. The Society has attracted a membership with a wide range of musical experiences and has entertained the public with performances across a wide musical repertoire. We rehearse on Tuesday nights at Northgate Arts Centre, Ipswich, and we usually present three main concerts each year, performing in local churches, the Ipswich Corn Exchange, Ipswich School and, occasionally, Snape Maltings. We use our Christmas Concert, and sometimes others during the year, to raise money for a variety of charities. In addition we perform at Ipswich Music Day each year, and occasionally accept invitations for additional concerts in aid of local charities. Ipswich Choral Society is pleased to have as its President the international conductor Cem Mansur, who has conducted the choir four times in the UK, most recently at Snape Maltings Concert Hall and twice in Turkey when members of the choir were invited to perform at the Istanbul International Music Festival and the Izmir Festival. The Society has also performed in a number of other countries including France, Austria, Turkey and Italy. These have been fantastic opportunities for choir members to experience new venues, meet and perform with other choirs and to socialise with each other. Ipswich Choral Society meets every Tuesday evening with rehearsals starting at 7.30pm, Northgate Arts Centre, Sidegate Lane West, Ipswich IP4 3DF. Come and sing with Ipswich Choral Society by joining one of our open rehearsals held throughout the year. Visit our website for details or contact Laura Albins, our recruitment officer, by phone 01473 620 534 or email recruitment@ipswichchoralsociety.org. Based in Ipswich, The Co-op Ladies Choir have been in existence for over 50 years. We perform regularly at various events including Ipswich Music Day, Ipswich Arts Association lunchtime concerts, weddings, social clubs and charity events. Our membershipis comprised of ladies who have been involved with local amateur dramatic groups, local theatre productions, and music festivals. We perform a variety of music including:- Classical, musicals, chart hits and religious items. We sing all types of music, and tailor our programme for each event and can adapt our programme to suit a specific audience. Our experienced conductor is Margaret Morphew and our accompanist/arranger Joe Cleary. The Society shows a season of 16 films selected from the best of World cinema. The season runs from September to May and films are shown on Monday evenings at the Ipswich Film Theatre in King Street. The Society aims to advance education and appreciation in film as an art and as a medium of information by means of the exhibition of films of a cultural, educational, scientific and artistic character. Notes are provided to accompany each film. Ipswich Gilbert and Sullivan Society was founded in 1929. Our musical scope is vast for we perform a range of classical and modern choral music during the Spring and Summer, as well as an Autumn production of one of the Savoy Operas. In addition we perform original musical works written by former Musical Director Bernard Reader and our current show MD, Andrew Burke. We are very pleased to have conductor and composer Phil Toms to direct our concerts. Over the last 30 years, the band has raised thousands of pounds for numerous health-related charities and other worthy causes. Throughout the year the band regularly performs in concerts and at fetes and other outdoor events, such as the Suffolk Show. Wealso hold concerts in the Spring and Autumn and at Christmas. On Christmas morning we play carols on the wards at Ipswich Hospital. The Training Band Section was formed in September 2003 and continues to grow and now performs at various Charities during the year. The band mainly accepts bookings for concerts in aid of health-related charities and other similar worthy causes. A nominal fee is charged to help cover expenses. Brass, reed or jazz ensembles can also be provided to perform fanfares for ceremonial occasions, music for church services, or social events. Commercial bookings for smaller events such as weddings and dinners are also accepted. IHCC provides a place where people of all ages and backgrounds can join together in the pure pleasure of singing. We are not a formal choral society rather a very relaxed, fun group. We are affiliated with the Ipswich Hospital and are regularly asked to perform at hospital events. We sing a variety of pop and show songs including The Power of Love, It’s a Kind of Magic, I Will Follow Him, I’m Alive and Together in Electric Dreams. As a registered educational charity the Ipswich Institute is open to all who choose to join. For a moderate annual subscription, members have access to a programme of over 60 different leisure learning courses each term as well as one-off workshops, lectures, trips and a well-stocked lending library. The Institute’s café and restaurant are great places for making and meeting friends. All evening classes and many other events are open to non-members – see our website for details. Support is also given to other local arts & educational projects. A member of the Association of Independent Libraries, the Institute has links with similar establishments across the UK. The Institute is housed in two historic buildings, at 15 Tavern Street and 13 Tower Street, Ipswich – both worth visiting in their own right. Ipswich School offers a broad range of musical opportunities and aims to give pupils a rich and satisfying experience of music. Girls and boys are encouraged to take part in practical music making, which ranges from class singing and keyboard playing to joining one of the school’s many choirs and instrumental ensembles. August 2007 was the fortieth anniversary of the formation of Ipswich Light Organ Music Society (ILOMS). We acquired our Christie Theatre Pipe Organ in 1967 from the Century Cinema (later Essoldo) Clacton In July 1936. After a final concert there, the Christie was placed in storage until an agreement was reached with the United Reformed Church at Castle Hill, Ipswich. The organ was opened in November 1971 by Len Rawle, John Mann and veteran organist Sydney Gustard. Since then the Society has prospered, holding regular Sunday afternoon concerts from October to April. To celebrate the 40th Birthday of ILOMS and the 70th of the Christie, a double CD has been released, one of Len Rawle playing at Castle Hill and the other taken from live concert recordings of Len playing the Wurlitzer Organ, which was in the ABC Ritz Cinema in the Buttermarket, Ipswich.The cost is £10.00 plus £2.50 p&p. Annual Membership of the Society is £4.00 per person. The Sinfonia was the brainchild of its first conductor, Frederick Marshall, and leader Jessie Ridley. safe hands of well-known local musicians Jeremy Hughes, conductor, and Greg Eaton, leader. Contact Alan Loader 25 The Fairways Rushmere St Andrew Ipswich IP4 5TN home Telephone: 01473 727274work Email: alan@rushstan.plus.comINTERNET Website: www.rushmerestandrews.wordpress.com/concerts. St Andrew’s Church, Rushmere St Andrew, Ipswich organises and/or promotes a number of concerts and other musical events each year under the banner of Music at Rushmere. These include a spring and autumn series of Sunday Afternoon Concerts and a devotional performance on Good Friday, which is usually given by the occasional choir St Andrew’s Singers. Other Music at Rushmere events in recent years have included a sell-out performance by Collegium Regale (the choral scholars of King’s College, Cambridge),several Christmas concerts, and a recital by violinist Kerenza Peacock of the Pavao Quartet. The Sunday Afternoon Concerts are now an established feature of Ipswich musical life, and feature a wide variety of music from organ recitals to jazz and folk music, performed by a mixture of local talent and performers of national and international renown. There is a very modest admission charge for each concert (under-18s go free), which includes delicious homemade refreshments. There is ample car parking. The New Wolsey Theatre Ipswich is a vibrant 400 seat theatre in the heart of Suffolk’s county town. Throughout the year, our audiences enjoy an eclectic mix of productions and participatory events that are accessible, diverse and of the highest possiblequality within a programme that combines our own productions, co-productions, collaborations and visiting work. Shingle Street Folk is a group of 4 local musicians: Stephen Harding, Mike Tyndale-Biscoe, Chris Pearce and Jane Burn who perform regular folk concerts throughout Suffolk. Their particular delight is vocal harmony, sometimes accompanied by folk instruments, sometimes not. In addition to performing as a folk band, they are all also experienced singers in local choral groups. Their repertoire is rich; ranging from traditional to contemporary, sacred to profane, lugubrious to hilarious! The Civic Church of St Mary-le-Tower, Ipswich, is the venue for 30 or more concerts a year promoted by the church. These include the Summer Series of some 24 to 25 Tuesday Lunchtime Concerts running from May to October and the Winter Series of 5 Lunchtime Concerts in the weeks before Christmas. Artists of national and international stature include organists and also a wide variety of other instrumentalists and singers. Some concerts are occasionally given by groups from Suffolk schools. Further concerts are given by the Tower Chamber Choir, a group of 36 experienced Suffolk based singers. These include a concert for the evening of Good Friday and a concert for early autumn. These concerts include orchestra, as appropriate to the programme. Sunday by the two church choirs, the Choir of Boys and men and the Tower Singers. Friday evening Compline – with the adult singers and choral scholars. A 12th Century Church, St Peter’s by the Waterfront is an arts and heritage centre featuring the history of Ipswich’s past. Once the chapel of Cardinal Wolsey’s proposed college, the centre houses a number of artifacts, including a rare Tournai marble font and more recent Ipswich Millennium Charter Hangings. The centre hosts live music, theatre, arts and crafts events throughout the year with local, national and international acts and organisations booked and hosting their own events. Latest events details can be found on our website. The heritage centre is open Tuesday, Thursday and Friday 10am to 4pm and Wednesday 10am to 2pm between May and September and Tuesdays and Wednesdays 10am to 2pm during the winter months. Welcome to the Stour Choral Society. The Stour Choral Society celebrates four decades of choral singing and aims to provide a stimulating time where good music and friendship co-exist. We are a friendly, mixed-voice choir (SATB) who enjoy performing works from a large and varied choral repertoire including Handel’s Messiah, Mozart’s Mass in C minor, Mendelssohn’s Elijah, Rutter’s Magnificat, as well as lighter classical pieces. We usually give three concerts a year, within Manningtree and the surrounding area bordering Essex and Suffolk. We have about 50 singers and welcome new members. Please browse through the site to find out more about us. We normally rehearse in the Methodist Hall, South Street, Manningtree on Monday evenings from 7:30pm to 9:30pm. at least 3 times a year. Weekly rehearsals (during term time only) take place at Chilton Community Primary School, Violet Hill Road, Stowmarket, IP14 1NN on Wednesday evenings between 7.30pm and 9.30pm. The Suffolk Concert Band is a wind band based in and around Ipswich and is a registered Charity. The band was formed in 1967 and descends from the Suffolk Regiment. The red and yellow colours used by the band are a reminder of these roots. The band is directed by Mr Roger Jones, and currently has 61 members, of all ages and from diverse range of backgrounds. Journalist Mr Martin Bell OBE is the president of the band. Contact Sarah Young home Email: info@suffolkcraftsociety.comINTERNET Website: www.suffolkcraftsociety.org. The Suffolk Craft Society was formed in 1970 to promote the value and importance of contemporary crafts and currently supports around 116 individual craftspeople in the creation of their work across a wide range of craft skills. The Society organises exhibitions and demonstrations around Suffolk, including the summer exhibition in Aldeburgh. The Suffolk Festival Chorus was founded in 2017 to provide experienced singers in Suffolk with the opportunity to sing large scale choral works with a minimum of rehearsal. Venues to be performed in will include the Ipswich Corn Exchange and Snape Maltings. Performances will be accompanied by the Suffolk Festival Orchestra and top rated young soloists. It is anticipated that the Suffolk Festival Chorus will give one annual concert. For further information, please visit our website or contact the secretary. The Suffolk Festival of Performing Arts takes place every October and provides an opportunity for singers, dancers, instrumentalists and actors to showcase their talents and receive constructive advice from professional adjudicators within the format of a competition. There are classes to suit every age and ability. A new syllabus is available on line every April. If you prefer a hard copy please send us your details and your name will be added to our mailing list.The festival is a registered charity organised by a small but enthusiastic committee. The Suffolk Organists’ Association, which is affiliated to the Incorporated Association of Organists, was founded in 1934. It welcomes members of all ages, whether players or not, who share an enthusiasm for the instrument and its music. It has regular events throughout the year.These include organ recitals and concerts, which are open to all members of the public, as well as visits to churches and other venues to hear and play organs. Founded in 1991 under the direction of Andrew Pierssene, Suffolk Singers is a largely acappella choir performing a wide variety of music, both sacred and secular. We perform four or five concerts a year, often in some of Suffolk’s most beautiful churches, including those in Sutton and Framlingham, and regularly visit Ely Cathedral to present music for Easter. We have also taken part in two concerts for Christmas organised by the East Anglian Daily Times’ Suffolk Magazine in the Cathedral at Bury St. Edmunds. Choral workshops, held in October at Framlingham College, have also proved highly popular. The 2012 Suffolk Festival showcased many talented local performers, amongst which in the choral categories Suffolk Singers emerged as the best adult choir and winner of the Wightman Cup. Even more exciting was that the Suffolk Singers headed for Wales and the Llangollen International Musical Eisteddfod in July 2014, having qualified to take part in the Choir of the World competition. This is the blue riband event of the week-long festival and remains one of the foremost choral competitions in the international choral calendar. In May 2015 the Singers performed at The Queen’s Chapel of the Savoy in London. This was a concert in memory of Suffolk Singers Chairman, Michael Balaam who was a student at St Olave’s School and a Queen’s Chapel chorister. In March this year they have been invited to sing again at Ely Cathedral. The Co-op Singers are a non-profit Community Choir that performs many genres of music. Rehearsals are on Wednesdays, on a weekly basis in term times and held at the Co-op Education Centre, Fore Street, Ipswich. The Co-op Singers have an exiting performance schedule, and regularly give concerts throughout the year. From April 2018 (for the Summer Term) the choir will be led by Ed Gerrie. We are currently looking for a new and permanent musical director, to appoint from September. or have sung before. If you would like to come for a taster session please contact us. The Orwell Singers were established in Ipswich in 1993. 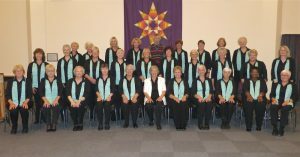 They are a ladies choir of twenty-four members who enjoy singing a wide variety of music ranging from madrigals and light classical pieces to easy-listening numbers and folk songs. The choir performs two concerts a year, one in December and one in June, at St Michael’s Church, Martlesham Heath. The choir also performs at weddings, festivals, charity concerts and parties. Over the years the choir has travelled to France, Holland, Belgium, Germany and Wales. The choir’s Musical Director is Gloria Wilson, who graduated from The Royal Academy of Music. She was Head of Music at Northgate Grammar School and then Ipswich High School for Girls where she became Deputy Head. The Orwell Singers are accompanied on the piano by David Ruddock, who studied music at the Colchester Institute gaining a degree from Durham University. He taught music at schools in Woodbridge and now teaches private piano and singing lessons. Trianon Music Group was formed in Ipswich during 1959 by three Ipswich students, one of whom was Professor Christopher Green OBE, the Group’s Artistic Director. Trianon comprises a symphony orchestra and choir with more than 200 members, many ofwhom are music students or teachers, but there are also many for whom music is not their profession but who simply love making music. The result is an eclectic mix of people of a very wide age range. Trianon performs three major concerts each year at venues such as Ipswich Corn Exchange and Snape Maltings Concert Hall. Members also help to raise funds for local charities through ‘community concerts’ as well as taking part in other music related events. Wolsey Orchestra, a non-profit making charity, was founded in 1972 as a chamber orchestra. Committed to promoting concerts of the highest musical standards, it is now a full symphony orchestra in the forefront of orchestral music in Suffolk. The tradition of imaginative programming brings both new commissions and large-scale landmark works to Suffolk audiences. Working solely with professional conductors, and offering a concerto platform to locally born musicians, Wolsey Orchestra is one of the finest amateur orchestras in East Anglia. The orchestra gives three concerts per season, two in Ipswich Corn Exchange and one in The Apex, Bury St Edmunds, each preceded by two intensive rehearsal Sundays. Professional conductors are invited to work on specific programmes, the orchestra having no ‘resident’ or regular conductor. The orchestra is managed by a small, dedicated committee, elected annually by and from its playing membership. Many of its players are also members of other local and regional orchestral societies which meet weekly, but who are drawn to the challenge of focused working on attractive programmes over a short timescale, at which the Wolsey Orchestra excels. WCC held its inaugural concerts in the summer of 2008 to mark the fiftieth anniversary of the death of Ralph Vaughan Williams.